Scent: Camphorous yet uplifting and lemony/fruity. Benefits, Indications: Saro is uplifting, vitalizing and energizing without causing olfactory fatigue, acting gently yet powerfully. Saro acts deeply in helping with states of apathy, loss of motivation and the like. An amazing booster to self-confidence as well. Saro is also excellent for beating feelings of lethargy and drowsiness, as well as for mental fogginess and difficulty concentrating. Definitely a good ally to have on hand for studying or for situations where your mind needs to be sharp as a tack! Its camphorous/expectorant quality makes this an oil likely to be helpful with respiratory issues including easing coughs, asthma and bronchitis. Saro essential oil can be used as a gentle decongestant and expectorant for respiratory problems such as coughs, colds, flu, bronchitis and asthma. It can be used in inhalations, chest rubs and liniments or blended into natural room sprays and surface cleansers to help fight infection. Saro is also a useful oil to include in massage blends for sore muscles or bruising. Recent research indicates that saro may be effective against a wide range of bacterial strains including ecoli which is responsible for urinary tract infections and meningitis, as well as several bacteria strains that are responsible for dysentery and food poisoning and certain types of gastrointestinal toxicity. It also performed well against some strains of bacteria related to vaginal infections. Klebsiella pneumoniae (which is the bacteria strain which occurs in chronic pulmonary disease and rhinoscleroma), and streptococcus pneumoniae which is responsible for certain pneumonias, endocarditis, pericarditis, and some skin infections, were also significantly reduced in laboratory tests when saro was introduced. Research is also showing that saro is effective in the control of candida and helps to regulate the bacterial flora and fauna of the digestive tract. Saro may also prove to be effective against herpes simplex, according to some scientists. Precautions: It is recommended that Saro is not used with children or in pregnancy, epilepsy, with those having heart conditions or in other situations where fragile health exists. Avoid use on the skin. 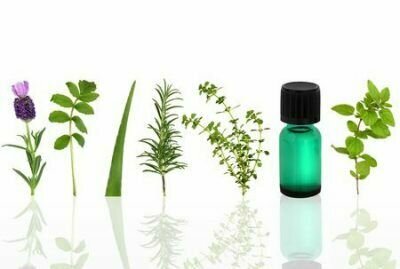 Because Saro essential oil is a strong oil with a camphoraceous aroma, it is not recommended for use with children under the age of five. Additional care should be taken with those suffering from asthma. With asthmatics, introduce the oil slowly and be sure the aroma relaxes breathing and does not cause any sense of constriction. Antimicrobial effects of essential oils of Cinnamosma fragrans on the bacterial communities in the rearing water of Penaeus monodon larvae. Novel alternative to antibiotics in shrimp hatchery: effects of the essential oil of Cinnamosma fragrans on survival and bacterial concentration of Penaeus monodon larvae.